The perinatal period refers to the duration of a woman’s pregnancy as well as the weeks and months following the birth of a baby. Although the time leading up to and following a baby’s birth is often joyful and exciting, the perinatal period can also come with mental health challenges for both mothers and fathers. Postpartum depression is perhaps the best-known perinatal mental health issue, but psychological and emotional reactions to the perinatal period vary widely and can occur at any time before or after pregnancy. Some amount of anxiety and stress is a normal part of pregnancy, childbirth, and parenting, but when these challenges become especially frequent or intense, they can get in the way of a healthy lifestyle for you and your family. How common are perinatal mental health challenges? The World Health Organization reports that worldwide, about 10% of pregnant women and 13% of women who have just given birth experience some kind of mental health challenge, most often depression. Additionally, the American Psychological Association notes that up to 70% of new mothers experience a milder reaction often called “the baby blues,” which usually includes symptoms of anxiety or depression that go away without treatment within a few weeks. Fathers also face perinatal mental health challenges; the American Psychological Association reports that roughly 4% of fathers experience depression in the year after their child’s birth. If you’re having difficulty seeking help for perinatal mental health challenges, you’re not alone. Mental Health America notes that only 40% of women dealing with perinatal mental health challenges seek treatment. What are some symptoms of perinatal mental health challenges? Intense anxiety: You may be overcome with worry and feel overwhelmed, whether with concerns about your baby or your life more generally. Sadness or depression: Postpartum depression is characterized by frequent and intense sadness, hopelessness, fatigue, difficulty concentrating, and/or loss of interest in activities you once enjoyed. Social withdrawal: You might feel uncomfortable in social situations, even with close friends or loved ones. Panic attacks: You might be overcome by a sudden, perhaps unpredictable sense of panic, with strong physical symptoms like a racing pulse or difficulty breathing. Guilt, shame, or self-blame: Parents struggling with perinatal mental health issues may feel guilty or convinced that they are, in some sense, failing their babies – without any concrete reason for this belief. Changes in sleeping or eating habits: You may find yourself sleeping or eating too much or too little. Antenatal anxiety or depression: It’s common for both mothers and fathers to experience mental health challenges during the mother’s pregnancy. Postpartum anxiety or depression: Postpartum depression – that is, depression after the birth of a baby – is a particularly common perinatal mental health challenge, and it may come with or without anxiety symptoms. Anxiety symptoms can also appear on their own in the postpartum period. These conditions often persist for months or more. “Baby Blues:” Many mothers and fathers feel some symptoms of anxiety and depression immediately after a child’s birth, but they may go away on their own in a matter of weeks, unlike postpartum depression and anxiety. Postpartum psychosis: Postpartum psychosis is much rarer than other kinds of perinatal mental health challenges. It may include delusions, hallucinations, or otherwise disturbed thought and behavior in the period after a baby’s birth. Women who have previously been diagnosed with bipolar disorder or schizophrenia are more likely than the general population to experience postpartum psychosis. Challenges associated with high-risk pregnancies and births: Parents dealing with high-risks pregnancies and births – such as premature births or multiple births – may experience especially high levels of stress and be more prone to perinatal mental health challenges. 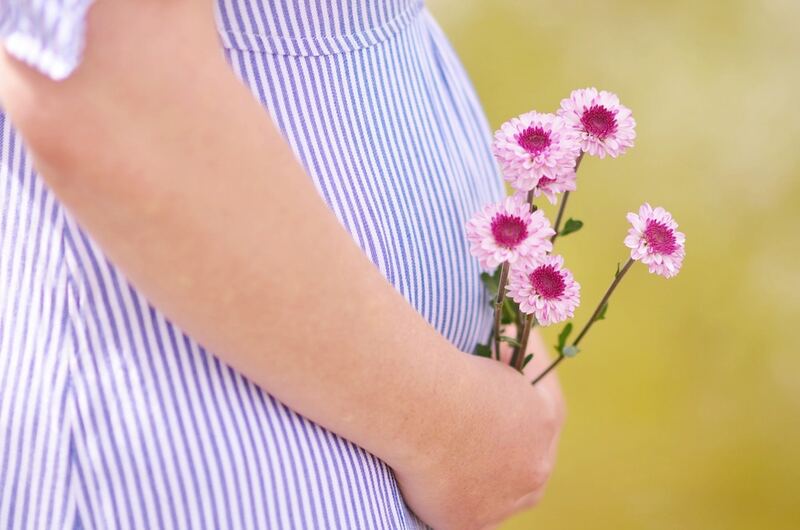 Check-ups: Because perinatal mental health challenges are often linked to the hormonal changes of pregnancy and childbirth, it’s especially important to stay up-to-date with your medical appointments. Your medical doctor can help you rule out physical conditions that may contribute to your symptoms and make sure that you and your baby stay well. Medication: Many people struggling with perinatal depression find that medication helps reduce their symptoms. Medication management can be especially challenging if you are pregnant or breastfeeding, so a psychiatric professional can help you assess your options and decide if medication is the right choice for you. Support groups. A support group can give you perspective, understanding, and solidarity from others who are facing similar challenges. You can search for a support groups and resources in your area through Postpartum Support International. Meditation or mindfulness practices. You might find it helpful to experiment with meditation or other mindfulness practices through classes or apps. Studies have shown that these practices can help reduce the symptoms of stress and anxiety that are often part of perinatal mental health challenges. Hotlines: If you’re having thoughts of suicide or need immediate support, you can always call the National Suicide Prevention Hotline at 1-800-273-8255. What should I look for in a therapist for perinatal mental health challenges? Find therapists who specialize in perinatal mental health on Zencare, below. Search by insurance, fees, and location; watch therapist introductory videos; and book free initial calls to find the right therapist for you!